The crossover segment is crowded with competitors, but one vehicle stands above the rest. The 2017 Honda CR-V delivers plenty of standard and available tech features, and its cargo area includes plenty of gear to hit the beach in Santa Monica. The CR-V’s performance is similarly generous, and its four-cylinder engine provides competitive fuel economy as well. Find out more in this guide from Airport Marina Honda! This efficient continuously variable transmission delivers better fuel economy than a traditional automatic through a flexible gear ratio. At the EX trim level and higher, you’ll enjoy a 1.5L turbocharged four-cylinder engine which delivers 190 hp and 179 lb-ft of torque. All trim levels include the option to add real time all-wheel drive with an intelligent control system. It’ll come in handy on rough terrain. Even if you’re parked on a steep grade, you’ll be able to get going quickly with this helpful feature. With the choice of front-wheel drive or all-wheel drive, as well as four trim levels, you can customize the CR-V to match your particular needs. All models include the stellar fuel efficiency afforded to all Honda models. The LX base trim with front-wheel drive and a continuously variable transmission reaches 26 mpg city/32 mpg highway/28 mpg combined, and the all-wheel drive LX model with CVT delivers 25 mpg city/31 mpg highway/27 mpg combined in EPA estimates*. The upgraded engine supplies a remarkable upgrade to fuel economy as well. 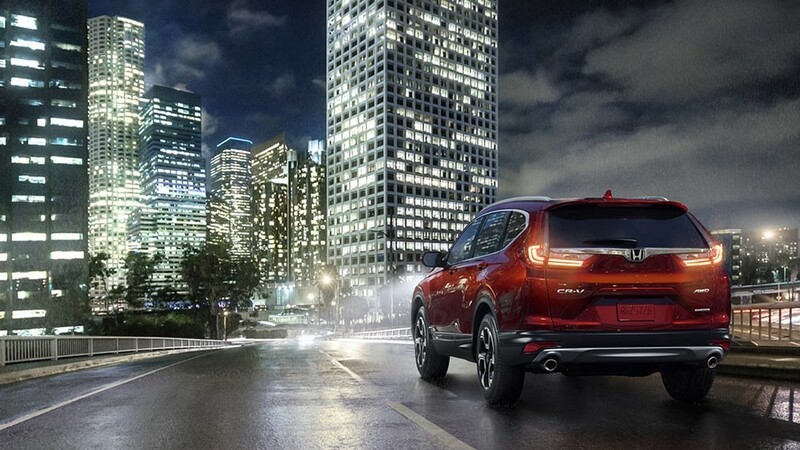 With 28 mpg city/34 mpg highway/30 combined in EPA estimates, the EX, EX-L, and Touring trim reaches incredible efficiency with front-wheel drive and CVT*. When you’re ready to see the 2017 Honda CR-V in person, visit Airport Marina Honda today. We’re located at 5850 West Centinela Ave in Los Angeles, CA in Los Angeles, CA, just a short drive from Inglewood, and our finance department is happy to help you secure a low-cost auto loan. We even specialize in working with buyers with less that perfect credit. Contact us today to learn about the high-powered CR-V!